Its been a while since we had an update for the excellent Fallout Wasteland Warfare game but that long wait is over and some new goodies are heading our way very soon. Over to Chris Birch from Modiphius Entertainment! As Wave 2’s launch rolls ever closer we thought you’d like a chance to pick up some advance items from the new set of releases! There’s only limited stock in our webstore before they launch in retail so get in there quick! Also if you’re in the UK and heading to the Salute Wargame show tomorrow we’ll be there with lots of Fallout stock AND stock of these new items! 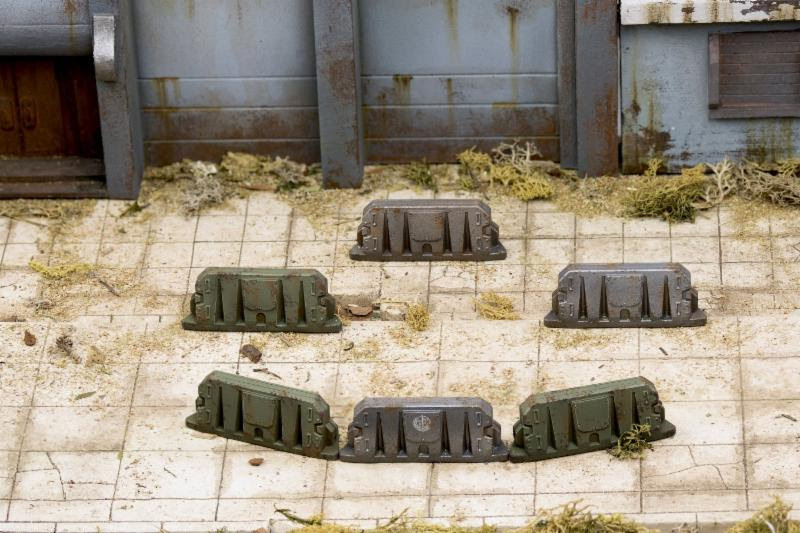 First up are the Military Barriers – these very familiar army defensive positions could be painted up in thier rusty original army drab or repurposed Brotherhood of Steel silver. Made in single piece resin, 6 per box. 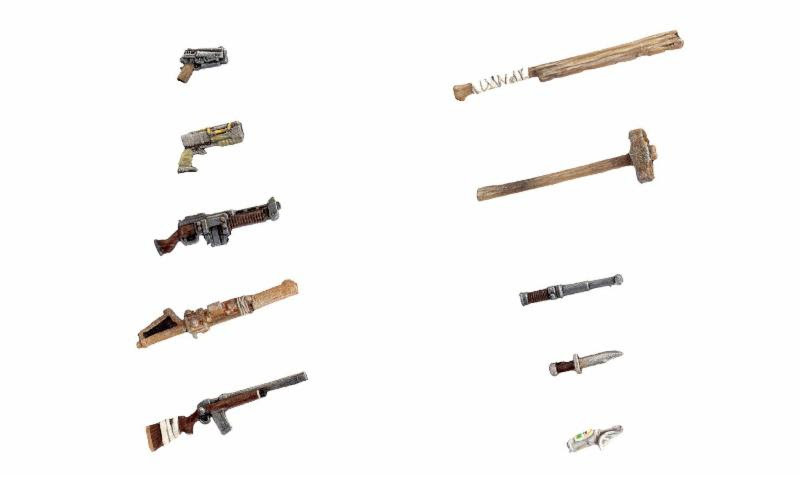 If you’re living out in the wasteland you pretty soon figure out you have to use anything and everything just to survive so the Junk Barricades are a great example of survivors making do. You’ll find tipped over Nuka Cola Machines and much more! Made in single piece resin, 3 per box. 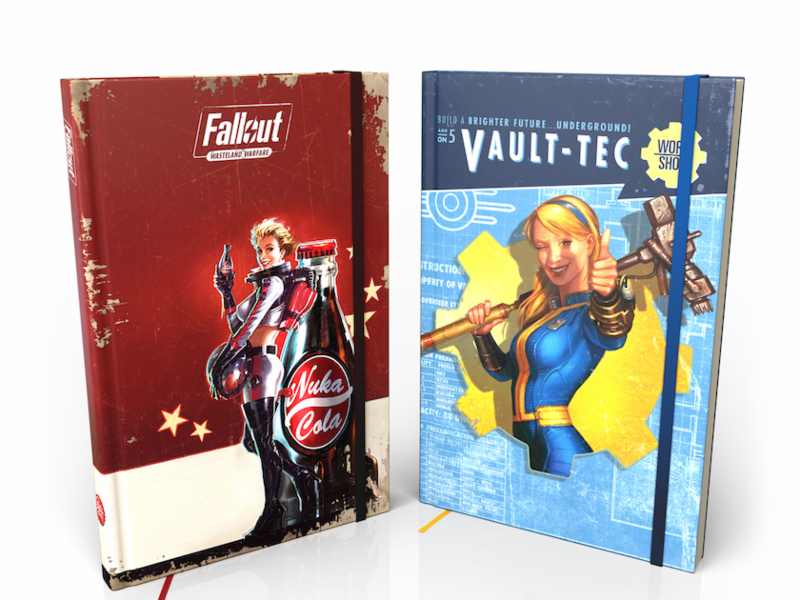 There’s also two very nifty Settlement Notebooks – themed in Nuka Cola and Vault-Tecflavors, so you can record your adventures for posterity! 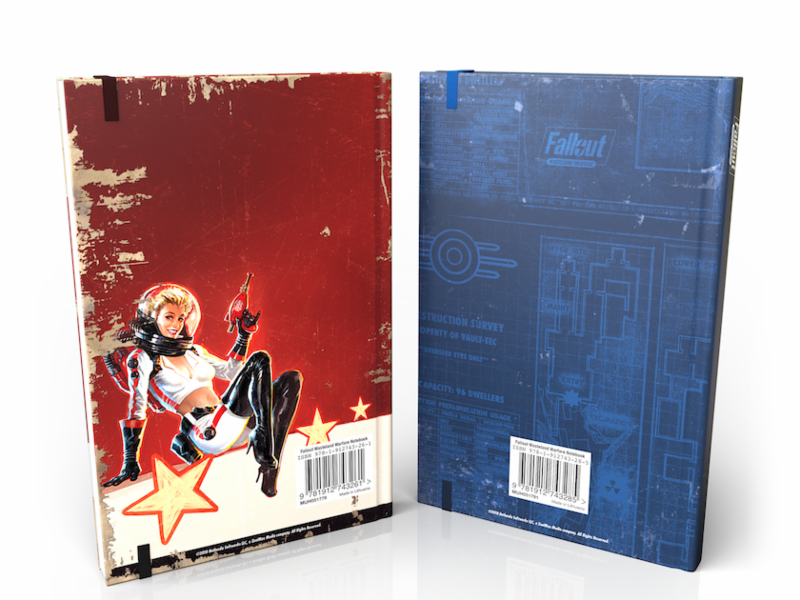 The 160 page hardback Settlement Notebooks feature five sets of 32 page blocks, each starting with a two page Settlement sheet to keep a track of your wasteland progress followed by lots blank, lined and squared paper with assorted Fallout borders and watermarks. You could be using this to create maps of terrain boards or your ideal settlement, write up your missions or scenario ideas, sketch out force lists or write a journal of your adventures! For those looking to support their local stores the Military Barriers, and both Settlement Notebooks will be coming to retail distribution in a couple of months. 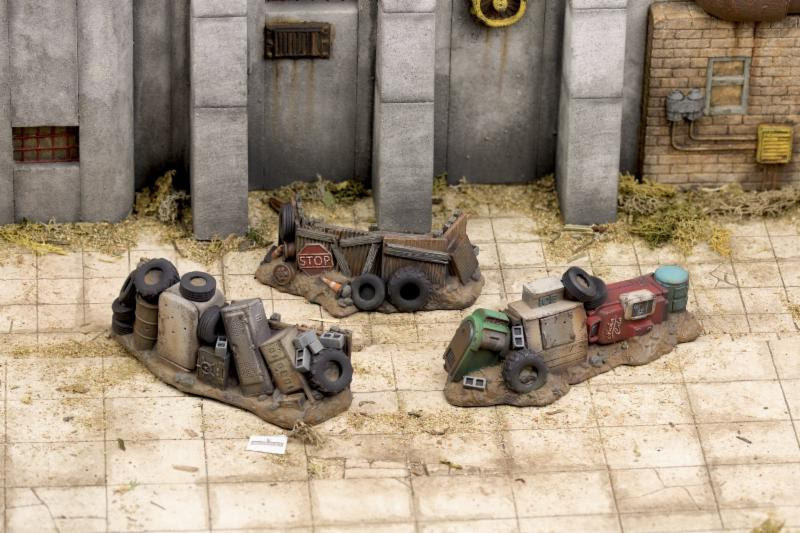 The Junk Barricades and Weapons Upgrade Pack are going to be direct to retail around the same time so ask your retailer to contact retail@modiphius.com if you want to get them to order it in. Quick heads up that voting closed midnight on March 28th so we’ll be revealing the winners next week! 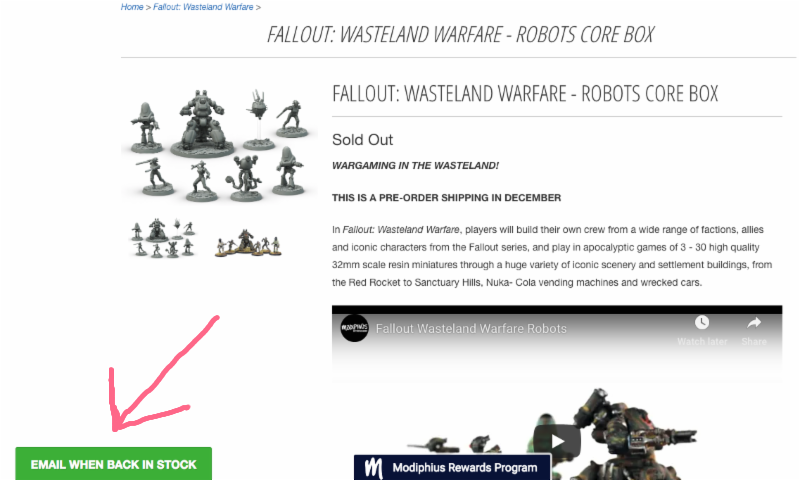 We’ve been sending regular re-stocks of the Brotherhood of Steel and Super Mutants Faction Core Boxes, and most of the seven expansions have had big re-stocks – we’re keeping these rolling as we get closer to Wave 2. 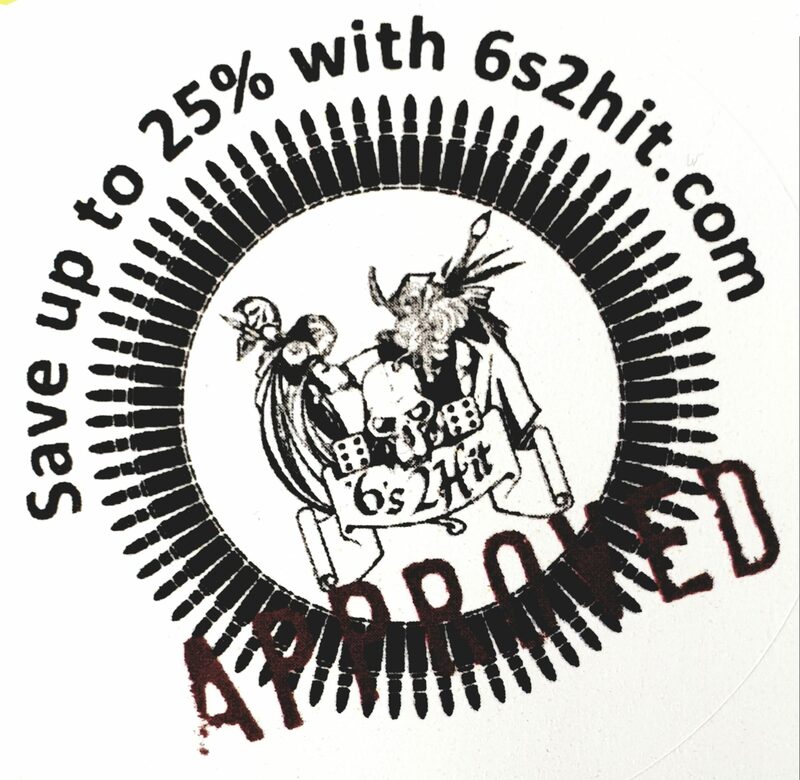 Remember if something is showing out of stock use the ‘Email When Back In Stock’ feature. Simply add your email and as soon as new stock arrives you’ll be emailed.